What happened to spring? A certain farmer was enjoying the moderate temperatures of spring and then all of the sudden, BAM, straight to summer. The high temperature on Full Circle Farm this afternoon was 86 degrees. It likely won’t last long though. Oh, and the other farmer, she doesn’t seem to mind the warmer temperatures. Don’t forget to take the time to enjoy your favorite spring flowers. 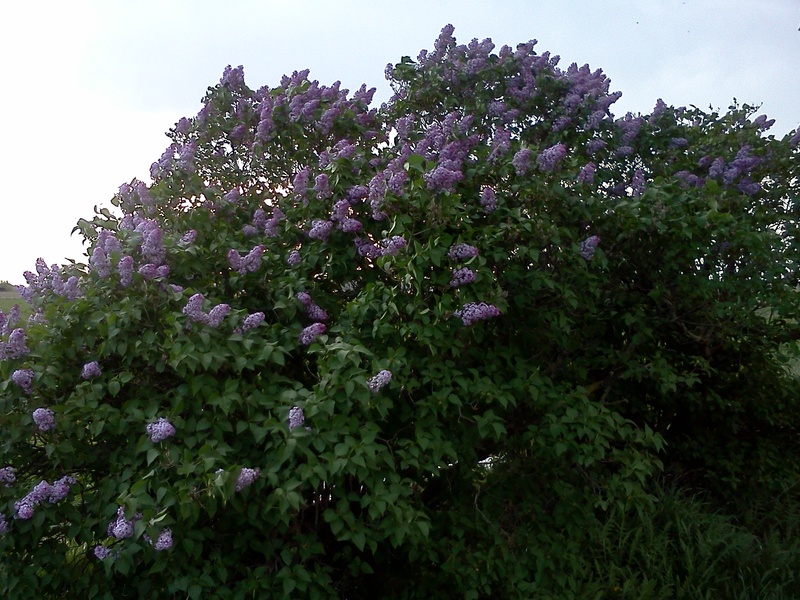 I remembered this year and the breeze kept blowing their wonderful scent to me as I worked in the barnyard tonight. Don’t forget. The Farm to Fork Market at Normandy Farms has shifted to its summer hours. Visit us Friday, May 9, 4:00 p.m. to 7:00 p.m. You may have to look for us in the greenhouse if the rain gets too heavy. We’ll have lots of eggs, pastured pork, and a few pastured chickens. Betsy’s Kitchen will be bringing granola, granola bars, and Paleo Almond Delight Bars. Betsy will also continue to bring her Guinea Girl lotions, body butter, herbal salves, and lip balms.